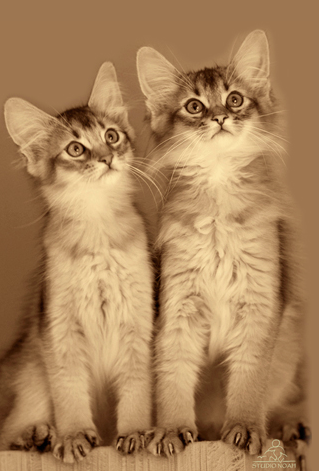 Clubs & Assoc: Approved Cat Breeder with the City of Wanneroo. Breeding Quality Somalis and Abyssinians in Tawny, Cinnamon, Blue and Fawn. All Breeding cats are tested for PK deficiency and PRA. Awarded Best Gp 3 Breeder in 2012 and Runner Up Breeder - All Breeds - for 2012. "One small cat changes coming home to an empty house, to coming home".